Most people know something about root canal treatments. Mostly, they think they want to avoid it! But you might be surprised at the facts of root canal therapy? We’d like to tell you how we perform root canals at The Center for Cosmetic & Restorative Dentistry in Chesapeake. 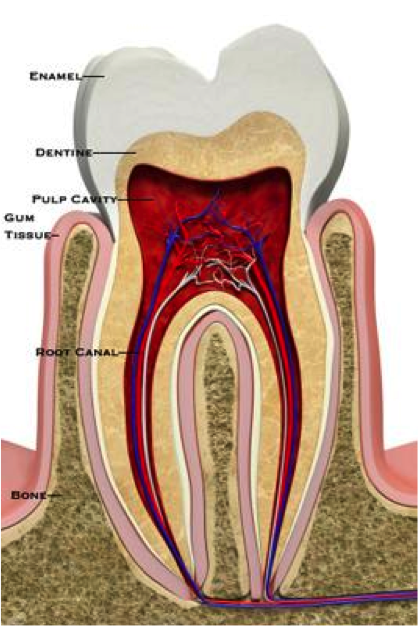 The pulp and root canals of your tooth contain all the blood vessels and nerves that your tooth needs to thrive. If something happens to them, and the nerves are damaged or infected, then you can experience discomfort, swelling, or sensitivity to heat or cold in or around the tooth. How does Dr. Brown perform root canal therapy? A root canal is a way to save your natural tooth. That’s the most important thing, and why you want to get here as soon as possible if you start to experience any pain, swelling, or inflammation. First, we treat any infection and remove the infected tissue, thoroughly cleaning out all bacteria, infection, or debris. You may need time to heal, or in some cases, root canals can be completed in a day. The next step is to fill the root canals to replace the nerves and prevent bacteria leaking in and causing problems in the future. Once the root canals have been filled, we’ll reinforce and protect your tooth by placing a porcelain crown over it. If you’re experiencing recurring pain and inflammation, please contact our dental office in Chesapeake at 866.861.7962 to see Dr. Brown as soon as possible. In some cases, you may not feel any symptoms, but a general exam and x-rays might show us a problem before it becomes painful. So remember to keep up with regular checkups too!